On this blog I want to be as honest as possible with my readers. Honesty can come in the form of praising a recipe, but it can also come, occasionally, in the form of a less-than-stellar review. For example: avocado pie. For what this is, it’s good. Is it the best dessert ever? No. Would I make it again? Probably not. 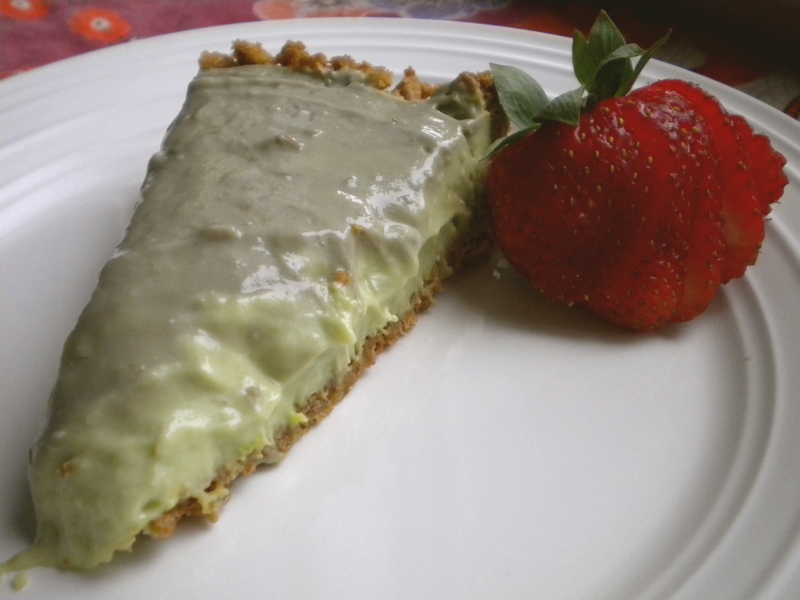 Is this a success because the last time I made avocado cheesecake it was awful? Yes. For all of those reasons, here is my honest advice: if you’re looking for something different, a conversation piece and a dessert that will probably please, at most, one-third of your party, this is a good bet. The consistency is a cross between cheesecake and key lime pie. Think: key-lime-avocado pudding. Actually, that probably didn’t help its chances. Either way, my kitchen is your kitchen and together we try the good, the bad and the great. Preheat the oven to 350 . Line 9-inch springform pan with parchment paper and brush with some of the melted butter. 1. Mix the remaining butter with the graham cracker crumbs, sugar and salt in a bowl. Press the mixture into the bottom and up the sides of the prepared pan. Bake until golden brown, about 15 minutes. Cool completely on a rack. 1. Halve and pit the avocados, then scoop out the flesh and chop. Transfer to a bowl, add the cream cheese and beat with a mixer on medium speed until smooth. 2. Add the condensed milk, lime and lemon juices, and the salt and beat until fluffy, scraping the bowl as needed. Pour the filling into the crust, press a piece of plastic wrap directly on the surface and chill at least 4 hours. What an interesting recipe! Can you taste the avocado, or do the lemon and lime juices overpower it? I’m thinking this wasn’t James’ favorite……what a brave cook you are to try this interesting use of avocados! I echo Milly’s thoughts. You’re a braver woman than I am, for sure.